A quick type into the google search bar defines Branding as one of the most important aspects of any business, large or small, retail or B2B. An effective brand strategy gives you a major edge in very competitive markets and provides a way of identifying your business. It is how your customers recognize and experience your business. A strong brand is more than just a logo; it’s reflected in everything from your customer service style, staff uniforms, business cards and premises to your marketing materials and advertising. Your brand is how your clients and potential clients feel about you when they think of you – if they don’t think well of you, you can be sure that you will get no more business from them. For Brand blunder examples you might want to check out this list of the top 9 brand blunders of all time. Here are 5 of the most common branding mistakes that you should avoid making! When creating a brand identity, you’ll want to establish defined guidelines that cover all of the following elements – as well as any others that are relevant to your field. Your brand should always be recognizable, wherever it is mentioned or represented. For this to happen, it should have a consistent style, colors, and voice. Here are a few items that ensure your brand is always represented well. If there are other branding characteristics you feel is necessary to define your business, add it to your brand guidelines document. The worst thing you could do is to avoid creating these important documents altogether. Without them, your branding efforts will lack the consistency and the general direction needed for success. 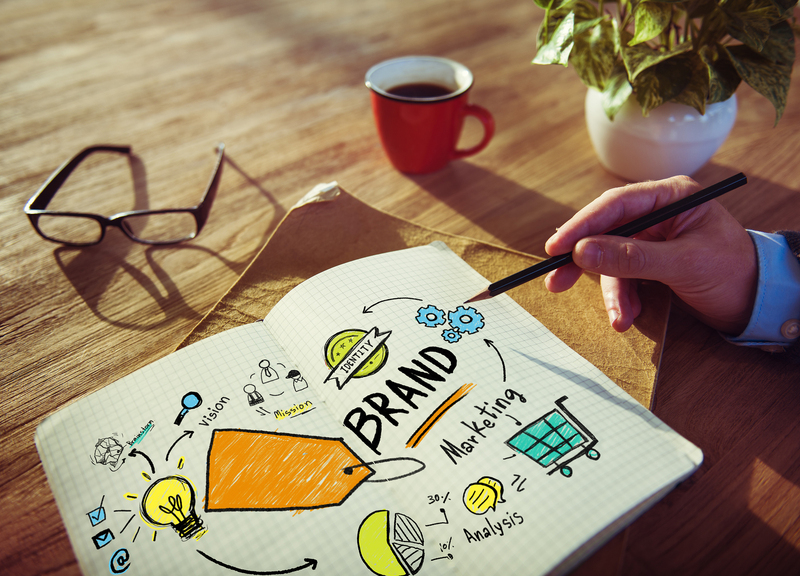 Read our article to learn how do you define your business brand! After establishing your brand guidelines, the next step is to determine and/or focus on a core product/service. Often, businesses will want to provide a wide number of products/services believing they can cater to whatever the clients’ and/or prospective client’s needs. While this is not necessarily impossible, it is best to identify your business with a core product/service – by doing so you will be able to identify both your competitors and your target audience. Have you heard of the saying, “Keep your friends close and your enemies closer”? This is extremely relevant for business and in particular, where everything is on the internet right now – where very few things are private. Start by analyzing your competitors and try to find a way to be different. You can’t win by being better; you can only win by being different. Hubspot curated a list of 12 companies that brilliantly differentiated themselves from the competition, read it now! The more you know your audience, the better you can tailor your marketing efforts. By defining and segmenting your audience, you can better serve their needs in terms of content and presentation. This ensures that you appear higher in search engine results and the “right people” will find you and want your product. Think about the age, gender, geography and lifestyle of the people you’re targeting and don’t be afraid to define your market in public. Spending advertising bucks are necessary for businesses, as proven by a survey by Affinity Express, 63% of small to medium-sized businesses advertise online. While it’s no surprise that targeted advertising on specific blogs, websites, and through Facebook Social Ads and Google AdWords help branding efforts, it’s well worth the investment to get PR support and partner with brands. PR is extremely important because what other people say about your brand is more impactful than what you say about yourself, especially on mainstream media which the customers respect and believe more. Small businesses typically don’t have well-known brands so they require third-party endorsements and partnerships in order to become established. If people haven’t heard of your company, then it’s helpful if you create strategic partnerships with companies, brands, and influencers that your market is familiar with. By associating your company with a well-known brand/company/person, your company becomes more credible and your brand grows.